Vinyl Cavalier Dad Decal is cut from commercial grade automotive vinyl for long lasting wear. On either side of “Dad” is a silhouette of the dog breed, along with a paw print on both ends. Perfect for the proud Cavalier King Charles Spaniel Dad! This vinyl decal measures approximately 4.5″ wide and 2.1″ tall. Perfect for dog lovers, this Cavalier King Charles Spaniel Girl decal is simple, fun, and just plain cool. A great way to boast about your favorite dog breed without taking up a lot of room or being too detailed. Our Cavalier King Charles Spaniel decal looks great in a vehicle’s rear window. Decal measures approximately 7″ wide by 2.3″ tall. A very pretty Cavalier King Charles Spaniel embroidered sweatshirt is perfect for the dog lover who is owned by this petite breed. On the left chest area is stitched, “Cavalier King Charles Spaniel Lover,” with elegant scrolling swirls with dog bones and a paw print. This design looks beautiful in a variety of color combinations – write your color theme in the personalization box or be surprised with what we choose. 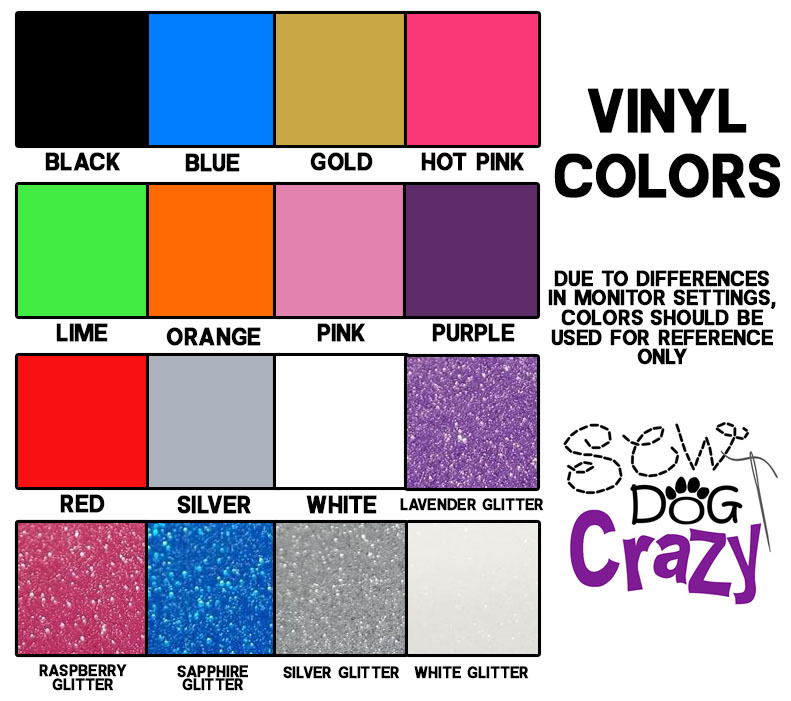 Rhinestones are also available for an additional fee. See the product photos for a rhinestone example. Color used will be complementary to the design. A very pretty Cavalier King Charles Spaniel embroidered t-shirt is perfect for the dog lover who is owned by this petite breed. On the left chest area is stitched, “Cavalier King Charles Spaniel Lover,” with elegant scrolling swirls with dog bones and a paw print. This design looks beautiful in a variety of color combinations – write your color theme in the personalization box or be surprised with what we choose. Rhinestones are also available for an additional fee. See the product photos for a rhinestone example. Color used will be complementary to the design. Cavalier King Charles Spaniel Rally Obedience embroidered sweatshirt. A silhouette of the CKCS is in the center, as well as a rally cone. On each side is a star, with the breed name stitched above and the dog sport below. Unique rally-o embroidery for Cavalier King Charles Spaniel owners. Cavalier King Charles Spaniel Rally Obedience embroidered apparel. A silhouette of the CKCS is in the center, as well as a rally cone. On each side is a star, with the breed name stitched above and the dog sport below. Unique rally-o embroidery for Cavalier King Charles Spaniel owners. Do you sometimes feel like a Cavalier King Charles Spaniel Taxi Service, driving to training classes, the vet, trials, and of course, those trips for ice cream? Well now you can clearly label your vehicle as a Cavalier King Charles Spaniel Taxi with our fun and unique dog lover decals. These vinyl stickers have a silhouette of your dog breed, along with diamond shapes and ‘TAXI SERVICE’ written underneath. Available in a variety of colors, these funny decals are sure to be a hit! Approximately 6″ wide by 3.6″ tall. Die cut vinyl Cavalier King Charles Spaniels Rule sticker is perfect for the pet owner participating in dog sports. On one side of the fun text is an agility bar jump, on the other side is a rally obedience cone. A delightful way to show off your Cavalier King Charles Spaniel’s versatility. Decal measures approximately 5.8″ wide by 3.1″ tall. This trendy Cavalier King Charlies Spaniel Agility vinyl decal has circular text surrounding a jumping silhouette of the toy breed. On each side is a star – just like your Cavalier! Unique agility CKCS sticker for pet lovers. Approximately 5″ wide by 5″ tall. Funny Cavalier King Charles Spaniel sticker reads, “Cavaliers don’t have owners – they have minions!” Great humor for pet lovers, includes a silhouette of the dog breed and paw prints. Available in a wide selection of breeds and colors. Decal measures approximately 5.8″ wide by 5″ tall. Put a Cavalier King Charles Spaniel stamp of approval on your vehicle, front door, laptop – most any smooth surface! This fun CKCS decal has a paw print inside a circle, with the text “Cavalier Spaniel Approved” around the outside. Fun pet lover vinyl stickers. Decal measures approximately 4″ wide and 4″ tall. Cavalier King Charles Spaniel Embroidered Agility sweatshirt shows the beautiful toy dog breed at the end of an a-frame obstacle, outside in the grass with a swirling blue sky beyond. The entire embroidery is contained within a square, except for the dog, whose front legs extend slightly beyond. This pretty CKCS agility apparel is available in Blenheim, Black and Tan, Ruby, and Tri color. Simply indicate your choice in the personalization box. Cavalier King Charles Spaniel Embroidered Agility t-shirt shows the beautiful toy dog breed at the end of an a-frame obstacle, outside in the grass with a swirling blue sky beyond. The entire embroidery is contained within a square, except for the dog, whose front legs extend slightly beyond. This pretty CKCS agility apparel is available in Blenheim, Black and Tan, Ruby, and Tri color. Simply indicate your choice in the personalization box. Funny and adorable Cavalier King Charles Spaniel decal! This vinyl sticker reads, “Crazy Cavalier Lady,” and has a cartoon of the Cavalier King Charles Spaniel dog breed on the left. So cute! Tell the world how you feel about your little pooch with this unique dog lover sticker. Decal measures 6.2″ wide and 3″ tall. Funny Cavalier King Charles Spaniel decal has a skull and crossbones style design with a dog wearing an eye patch. The text below reads, “Fear the Pirate Cavalier.” Hilarious Cavalier King Charles Spaniel vinyl sticker for dog lovers. Decal measures approximately 5.6″ wide by 5″ tall.